The pit temple next to the river is said to be ancient Shiv temple of Bijbihara mentioned by Kalhana as Vijeshvara. 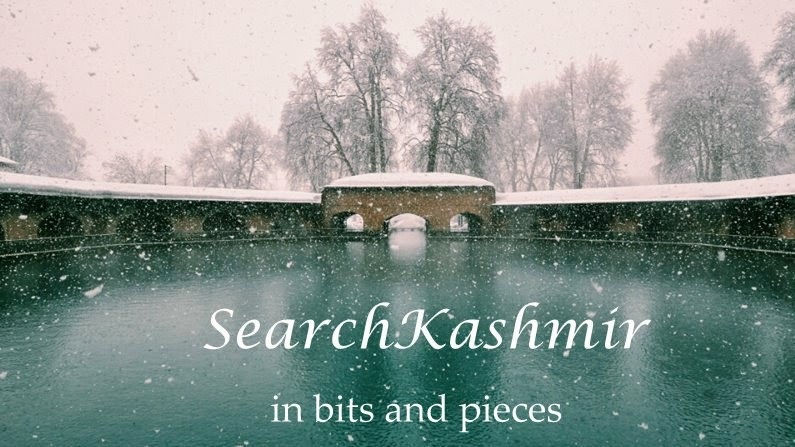 The sculptures found at Bijbehara are considered the earliest ones done in distinct Kashmiri style of sculptures. 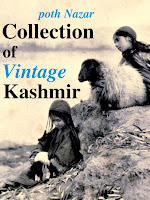 A lot of material from Bijbehara was moved to SPS museum in around 1898 by Captain Godfrey. "Brashib" in Kashmiri or the Taurus. A Lion actually. John Siudmak calls it influenced by Gandhāra style and dated around 5th century A.D.
As I stood photographing, some security men came to check up on me. They asked some basic questions and left me alone. Then a young boy came asking. He belongs to the muslim family that now takes care of the temple. He mentioned that no one told him to expect a visitor, otherwise he would have made some preparations for tea. It seems the visiting Pandits always come after making pre-arrangements. I could see a dilapidated hut in a corner. Much through the 80s the site was a regular victim of religious strife. People would break in and vandalize. Soon, a dozen more security men arrived. It was not normal. The security was on extra alert. Sensing that I was a pandit, these men started mentioning their own woes. "It is freezing cold here. We don't ask for much, just a proper toilet." I looked at the open pit in which the guards took dump. A pit dug in the ground with some jute rugs around as walls. They persisted, "Don't pandits have any organization that takes care of these spots. Inform someone. Have a toilet built. Look as this. "The snow in the pit was melting. Later in the day, there was a terrorist attack on a government building at Pampore about 30 Kilometer from the place. Relics at Bijbehara Shiva Temple. Then-Now.